Huawei has launched Huawei Nova 3i smartphone in China. It has a 6.3-inch FHD+ 19:5:9 aspect ratio curved glass display with a notch powered by Octa-Core Kirin 710 12nm processor with 4GB RAM and 128GB Storage, 6GB RAM with 64GB / 128GB internal storage. 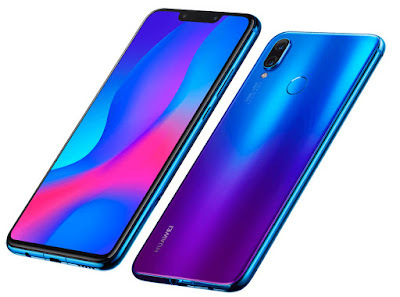 Huawei Nova 3i comes in Black, White and Blue colors, is priced at 1999 yuan for the 4GB RAM with 128GB storage version and the 6GB RAM with 64GB storage version costs 2199 yuan.